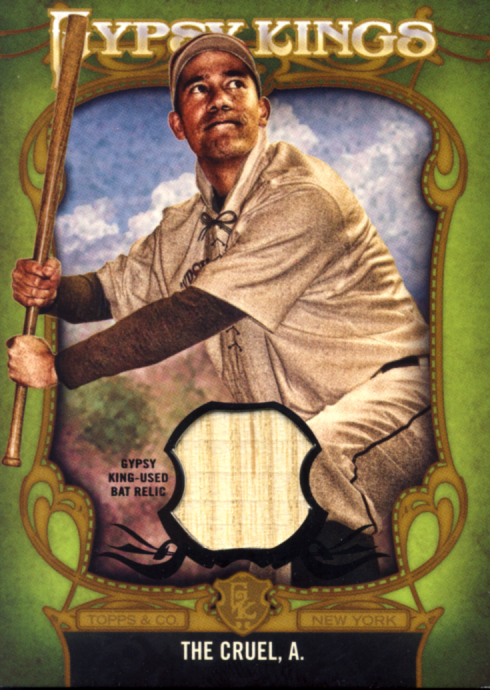 Topps has a long-standing tradition of adding limited edition insert cards to their baseball releases that feature their employees, either as a character or themselves. 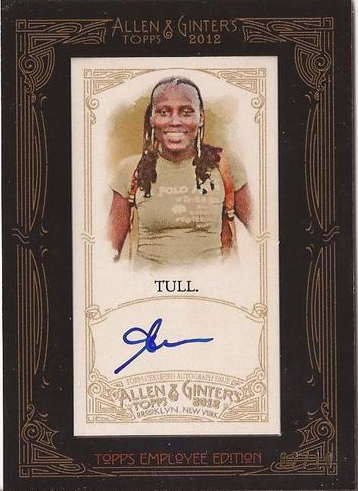 It makes me want to quit my job and go work for Topps just so I can fulfill one of my childhood dreams, to be featured on a card. It would be kind of like running away to join the circus. 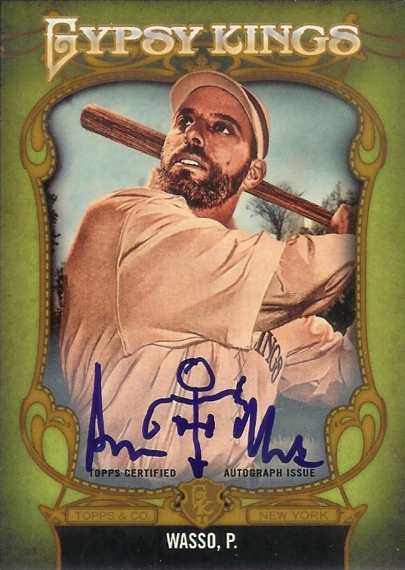 Topps recently tweeted images of Archives styled cards they produced for the members of the MLB Fan Cave. Had I only known, I would have fought tooth and nail to get in there. 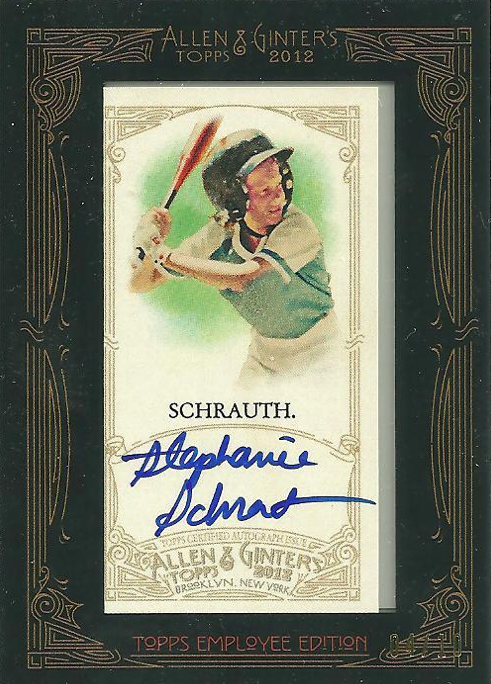 Last year, the big star of these insert cards was Topps Art Director, Adam Gandolfo, whom I wrote about in a post “Who are the 2011 Topps Gypsy Queens?” This year it seems to be a race between some of the executives at Topps, most notably Mark Sapir and Clay Luraschi. 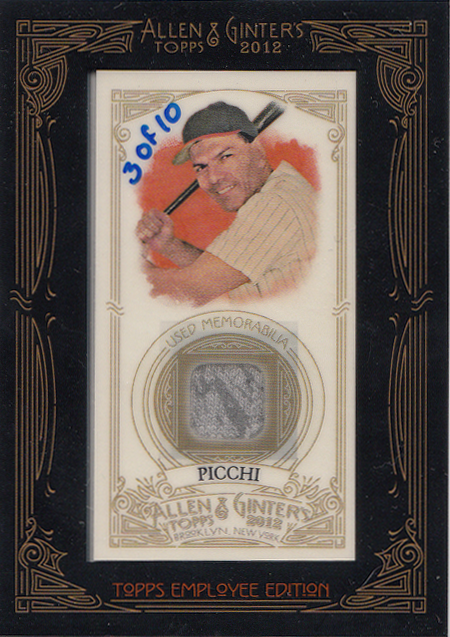 Here they are as Gypsy Kings found in 2012 Topps Gypsy Queen Baseball. 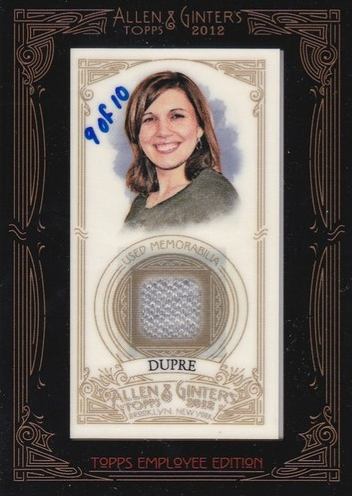 Topps Employee cards have appeared in A&G before but this is the first time I’ve seen relic cards for them. 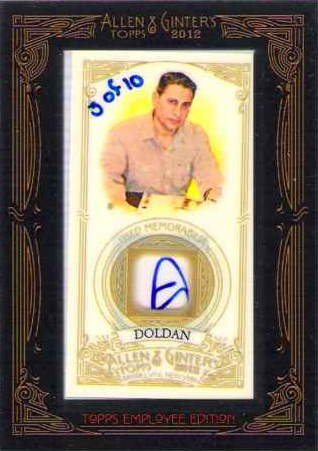 Both the relics and the autos are #/10 so it will be a rare pull. 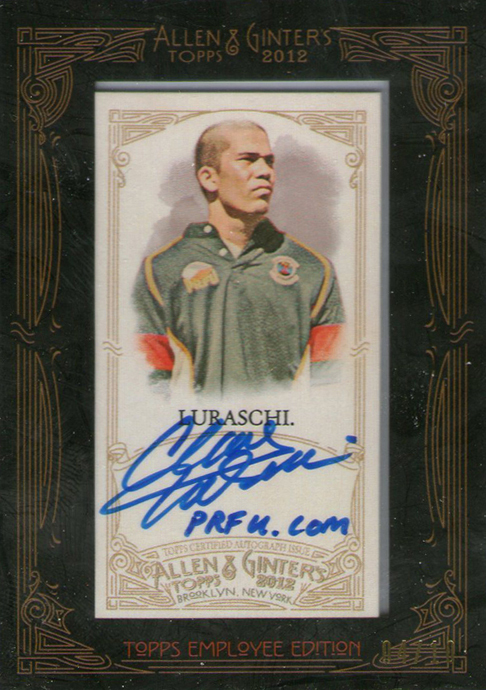 Here are cards for Sapir and Luraschi found in Ginter. 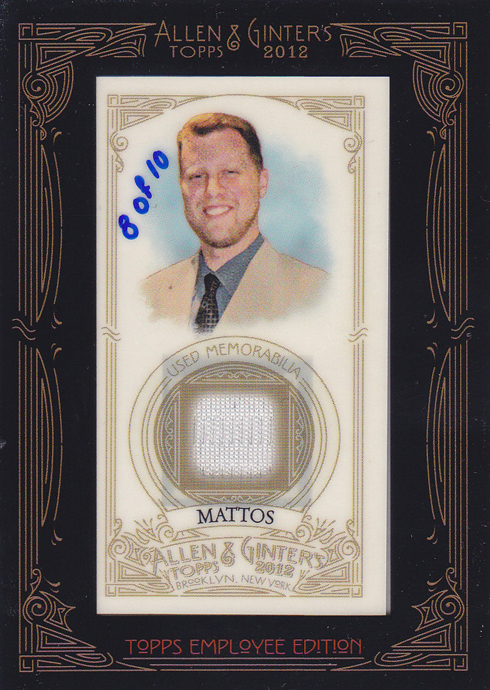 Here are the other employees that have been found each has a relic and auto version but to avoid repetition, I have only posted one version. Please Note: This checklist is complete as of the date of posting. There might be additional cards still left to be found. If you find others, please let me know so I can update this post. All of the information I’ve provided in this post, from card images to names and job titles are out there on the internet, freely available, and/or found on the actual cards.